A quick update on the Martha Stewart with Avery at Staples range. 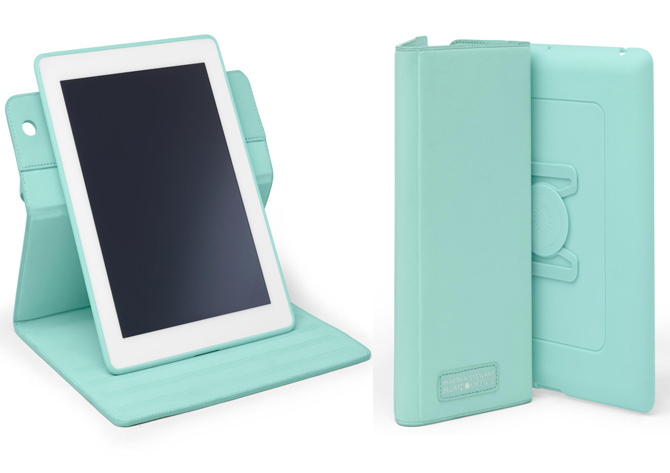 A new duck egg blue ipad case has been launched which is not just pretty (trust Martha to do duck egg) but practical. 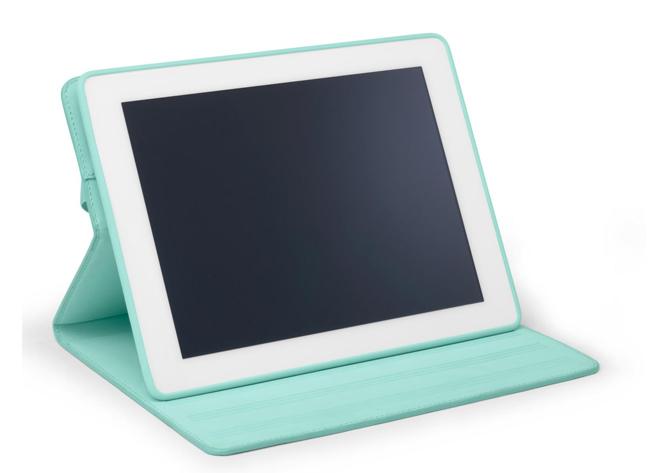 It has a thick elastic strap over the flap that allows you to hold it to car seat headrests and such like to play stuff to kids in the car and a swivel back that allows you to view the tablet which ever way up you want. Neat. It is £25. 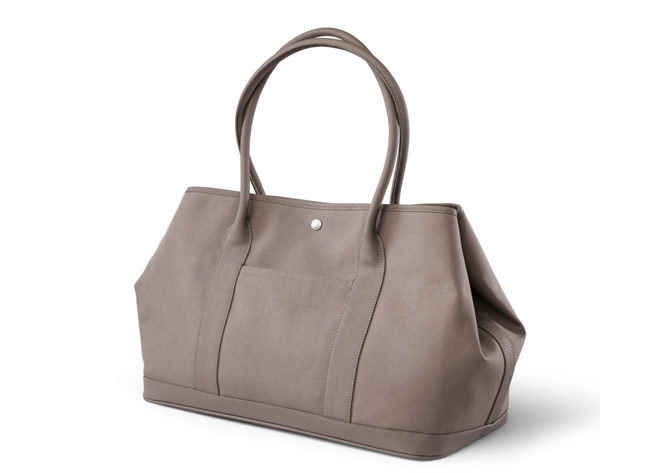 Martha has also launched a laptop bag and a tote bag which are robust and full of clever pockets in which to store in an organised fashion everything essential to a mobile life. ‘Quiet Voice’ I’m not wild about the colours, a teeny bit boring black, raspberry or beige, but I guess they are practical and the bags are well made and sturdy. The bags are £40.